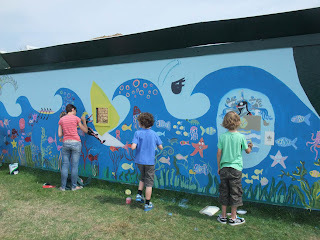 I spent this afternoon helping to paint a fabulous mural near Worthing’s Aquarena at the site of the now defunct but formerly much-loved seafront paddling pool. 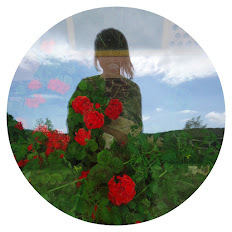 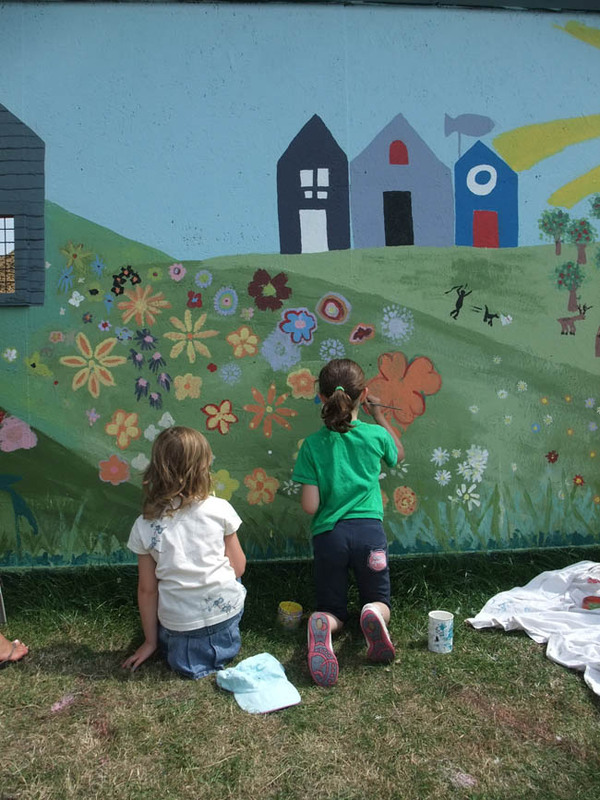 The mural is a community art project devised by visual artists Nadia Chalk and Vanessa Breen. 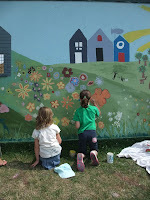 Over two days residents of the town have worked in the blazing sunshine helping to make Chalk and Breen’s vision come to life. 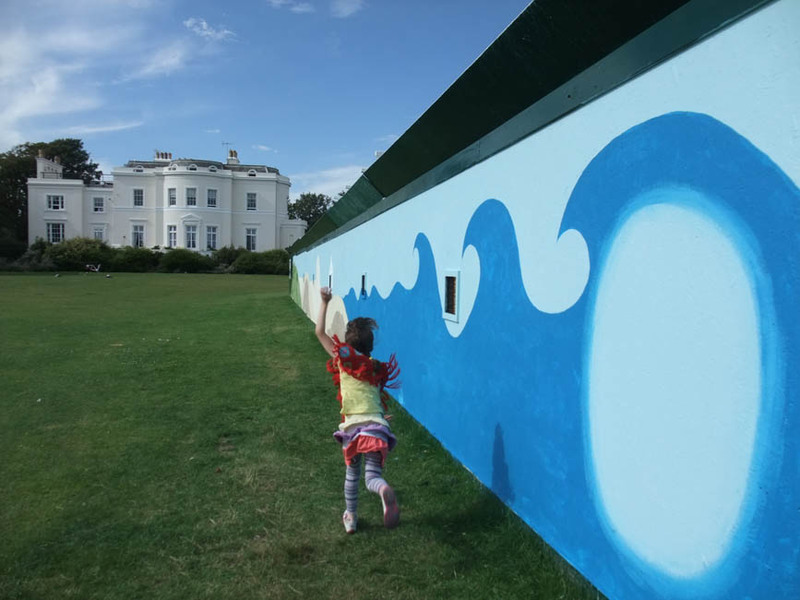 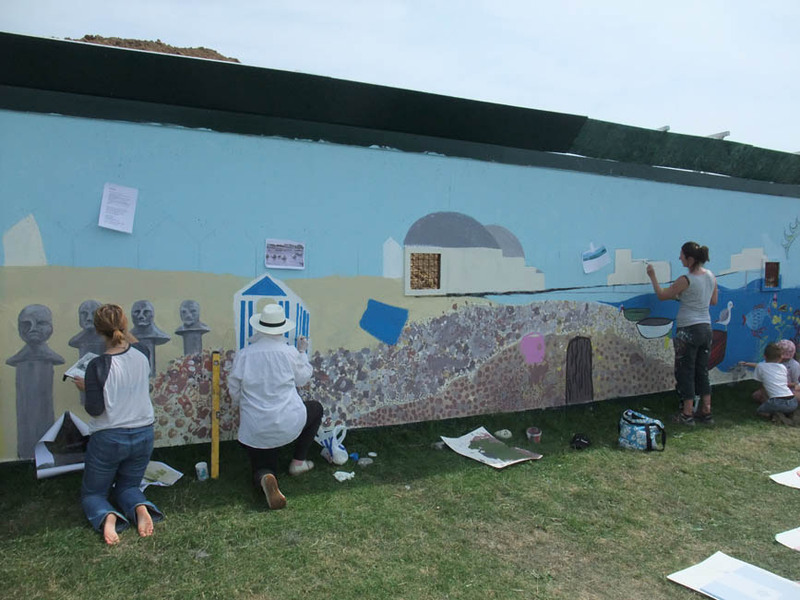 The mural depicts scenes from life in Worthing as well as local landmarks and symbols. 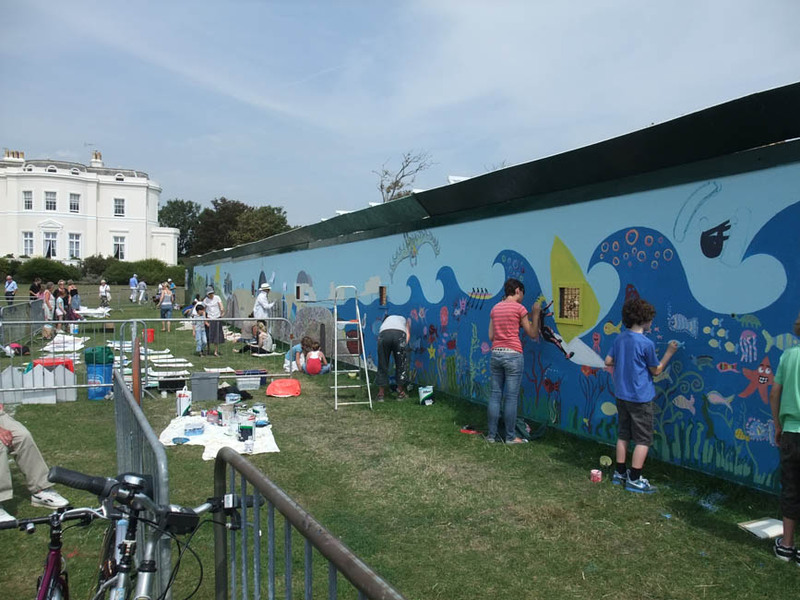 It disguises the ongoing construction work to give us a new state-of-the-art swimming pool and will remain in place until the building is finished. Local feeling towards the demolition of the old free paddling pool and it’s companion the Peter Pan playground has been mixed, as are feelings towards the construction of a new super-pool complex. 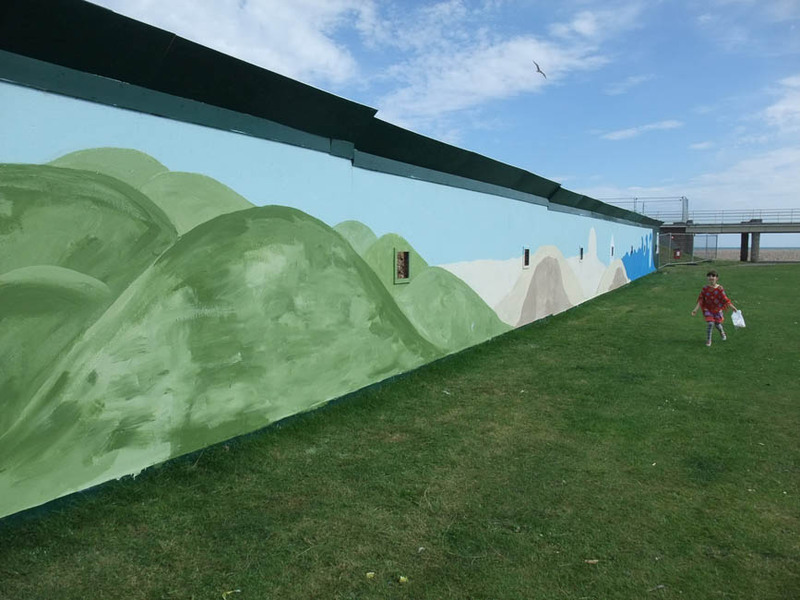 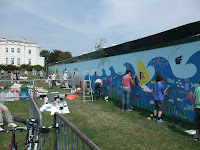 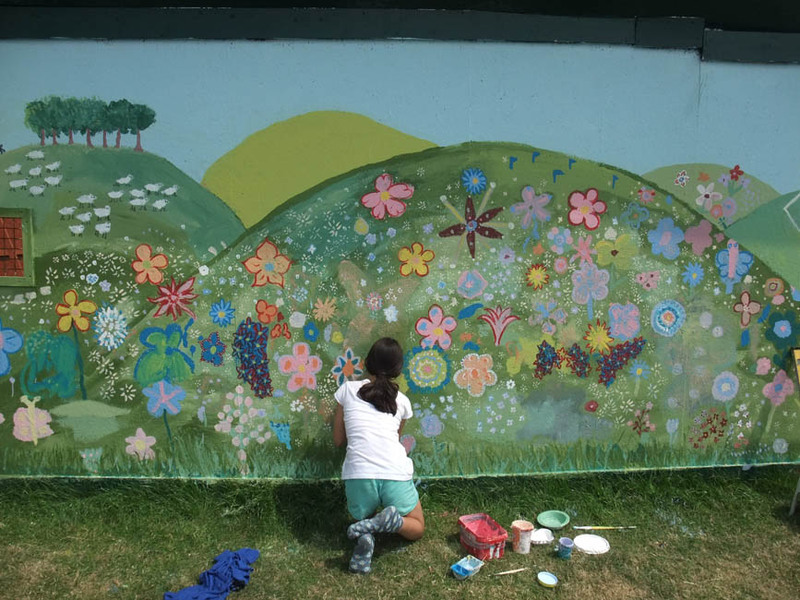 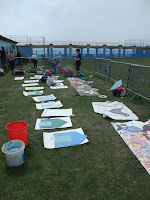 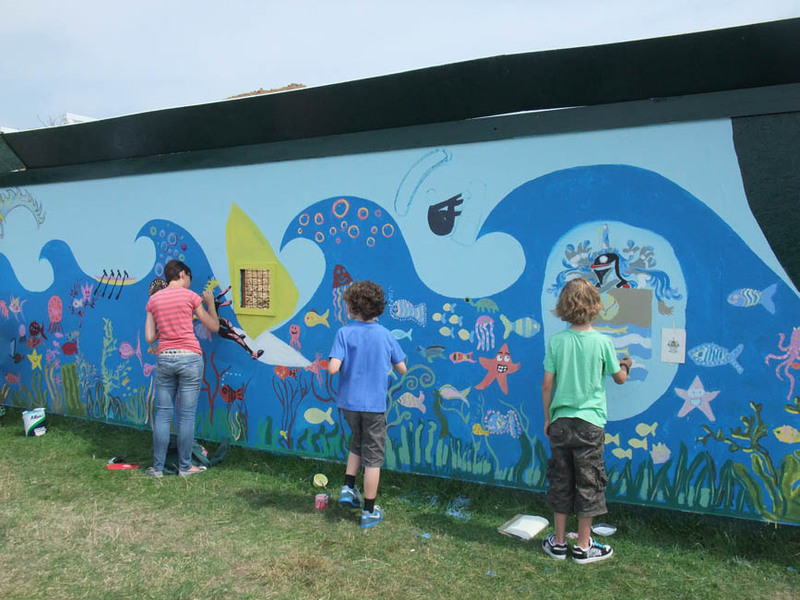 However, having a community mural at the site is a lovely gesture and it would be a fine thing if Worthing Borough Council would consider commissioning a permanent piece of community art near this space as a testament to all those happy hours whiled away by children of all ages at this site. 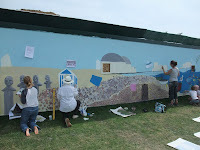 It was a lovely day and brilliantly managed by Nadia and Vanessa with excellent results.